We moms have many responsibilities. We have kids to raise, houses to clean, marriages to energize, families to nurture, careers to manage, friendships to cultivate and more. Deadlines are constantly looming – do the laundry, do the dishes, make the lunches, balance the checkbook, make dinner, drive your kids here. Drive them there. Being a mother is constant. It never stops. There is more written on each one of our daily “to do” lists than is humanly possible to achieve; and as if that’s not frustrating enough, we’re supposed to make motherhood look easy and show up to every function smiling and looking like beauty queens. We have the best of intentions. We are going to turn over a new leaf – we will lose weight, we will get organized, we will be more patient parents, we will be more loving wives (insert your own goals here!). But, how is all of this possible with the full lives we already lead? Where are we supposed to find the time and energy to do it all? Is that where you are right now? Do you feel like you are being pulled in too many directions? Do you think you have no choice in the matter? What if you do have a choice? Will you slow down long enough to find out? Work with me this fall and discover your unique level of balance in your life. 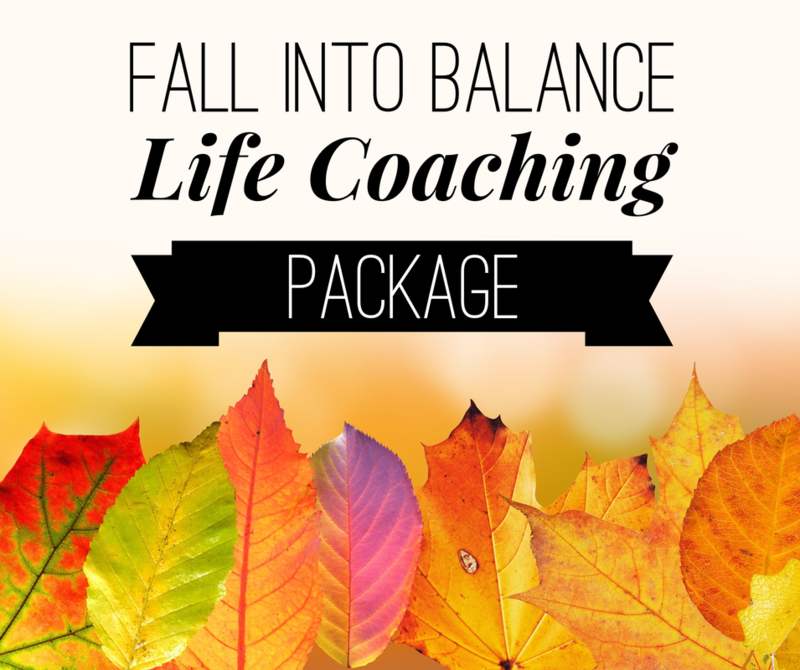 I have created a Fall into Balance Life Coaching Program. If you are interested in working with me to discover what balance looks like for you, fill out the form below to apply for a complimentary coaching session.